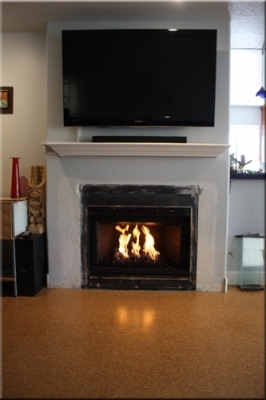 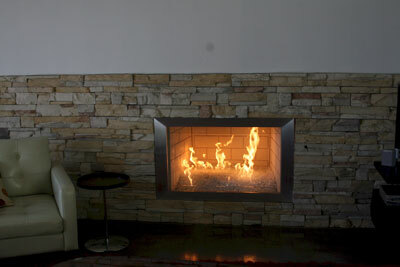 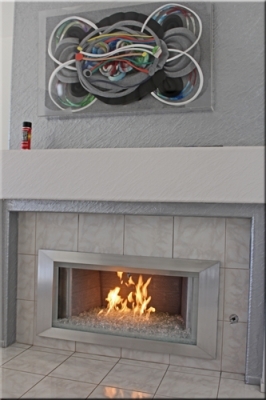 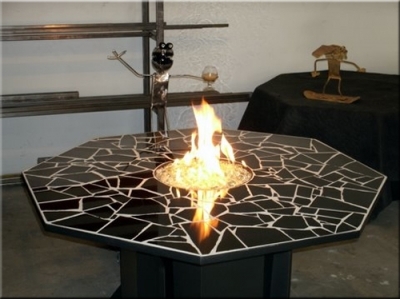 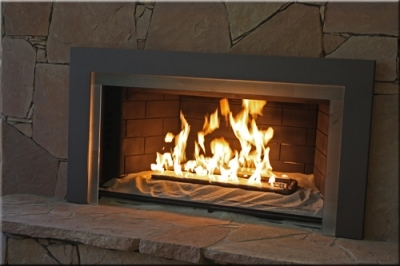 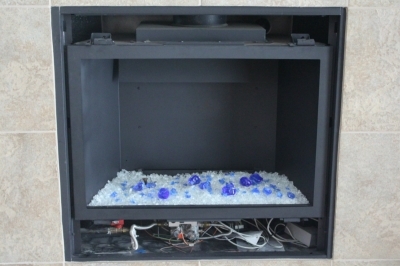 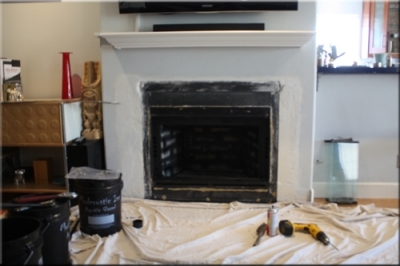 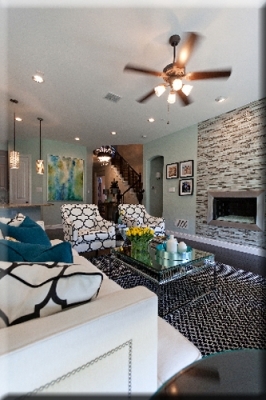 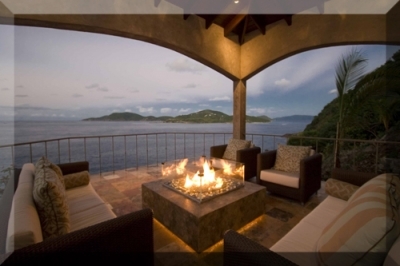 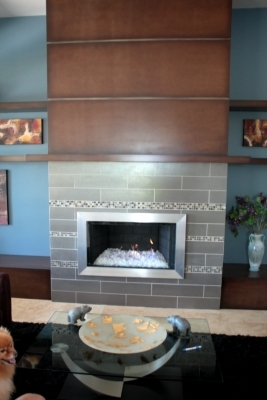 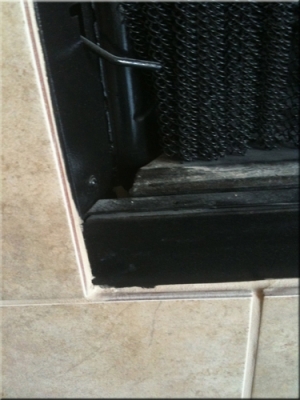 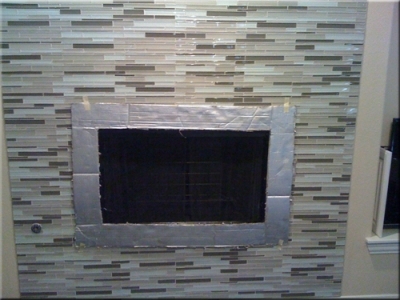 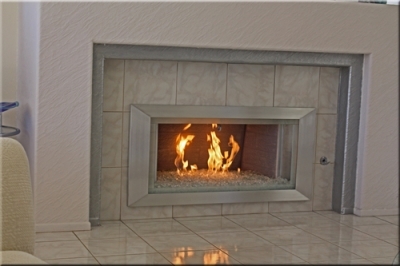 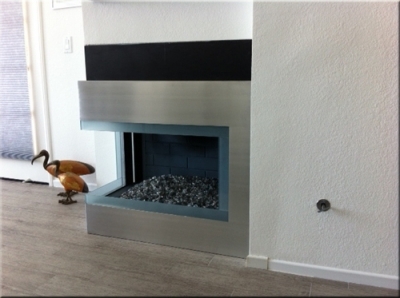 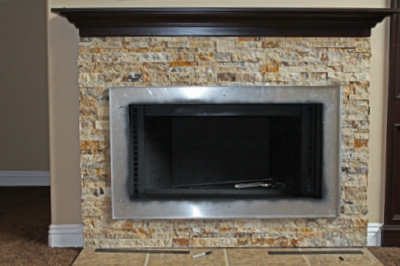 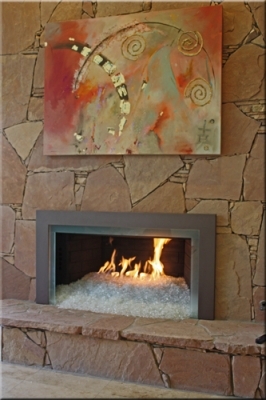 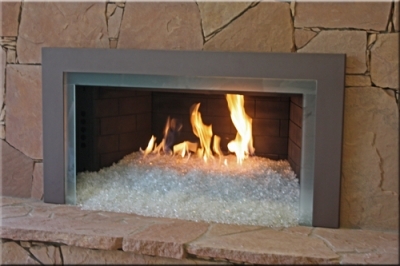 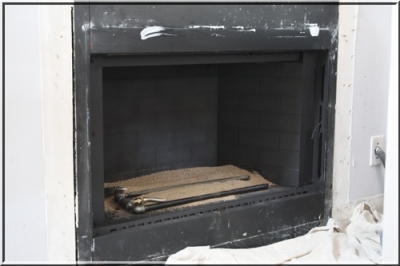 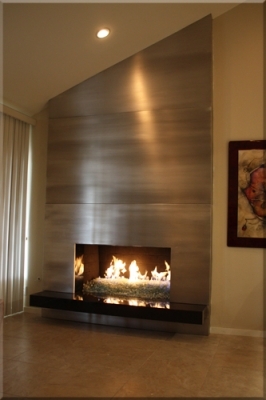 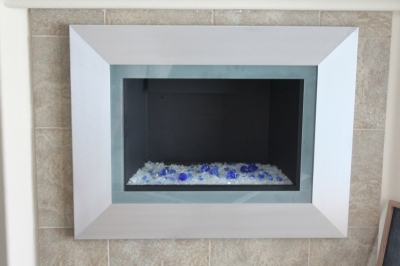 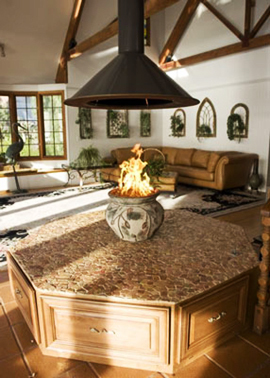 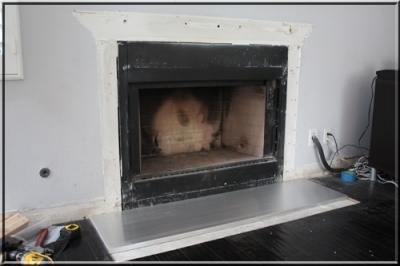 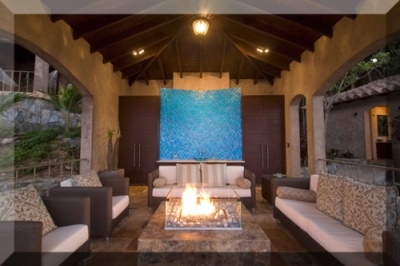 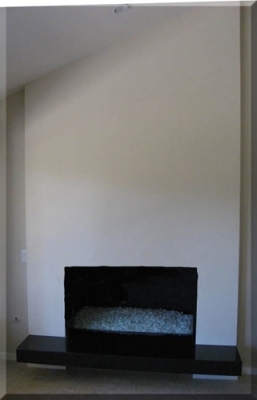 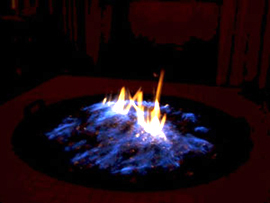 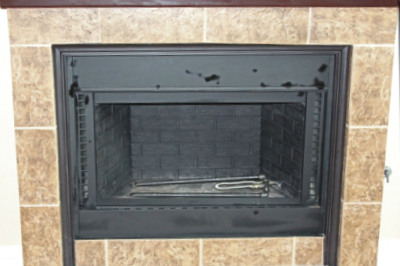 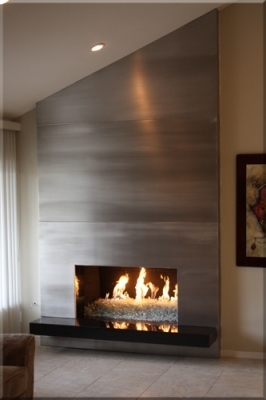 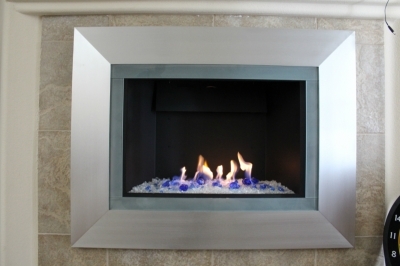 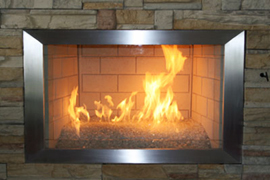 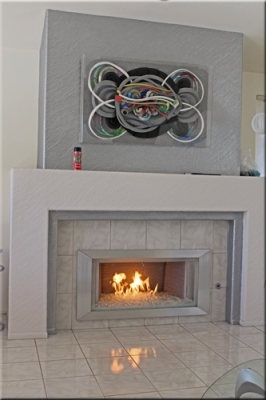 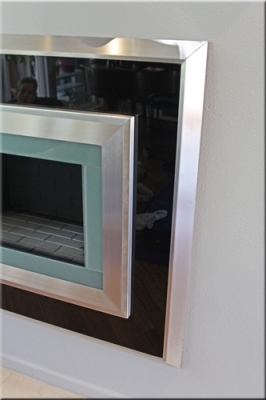 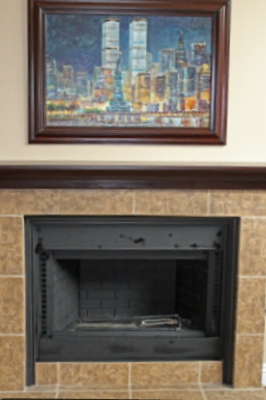 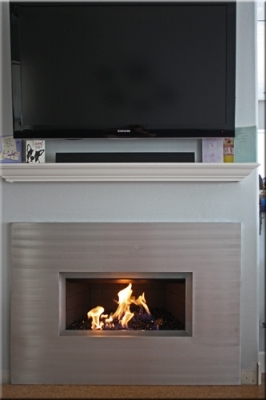 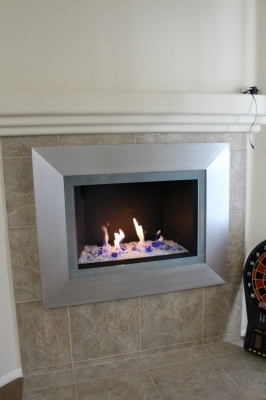 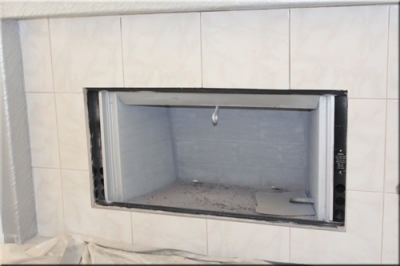 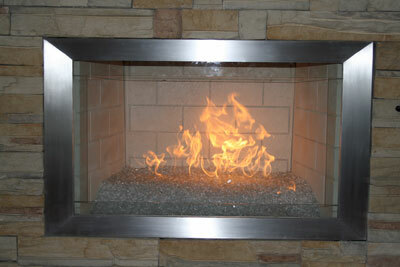 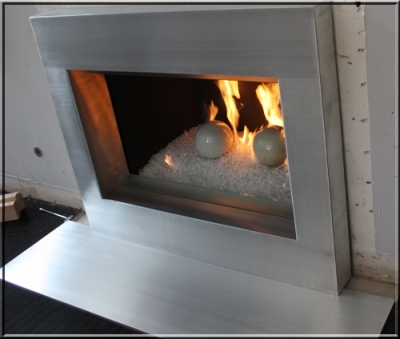 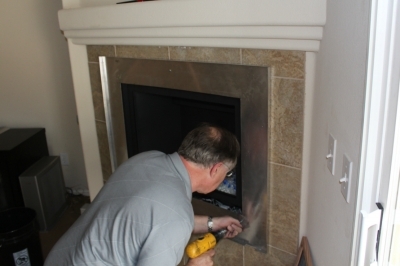 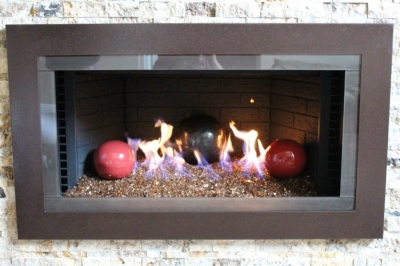 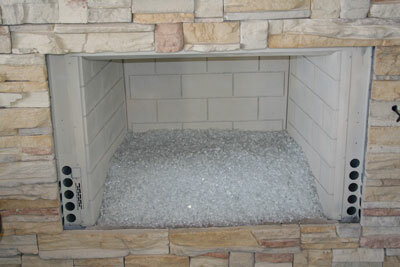 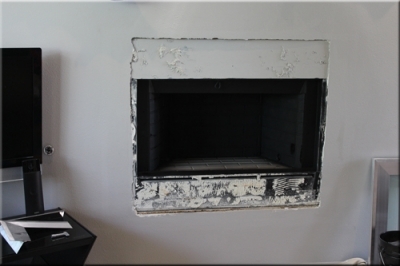 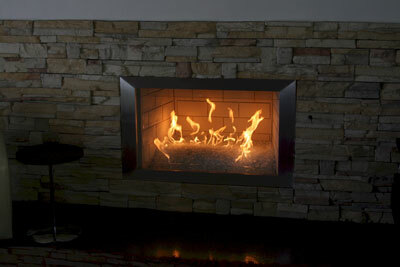 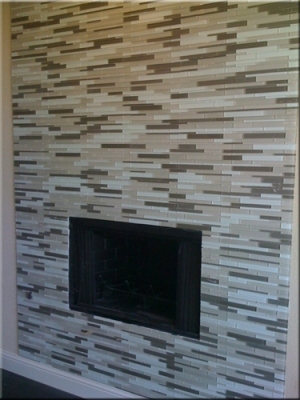 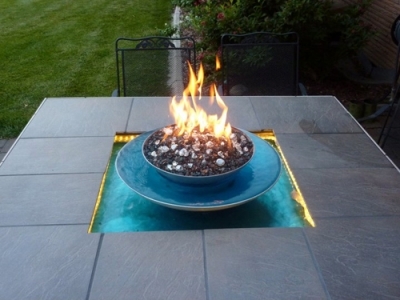 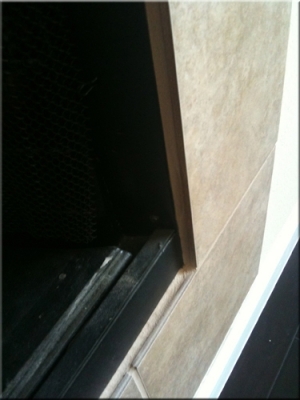 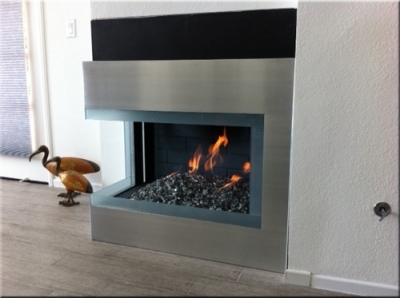 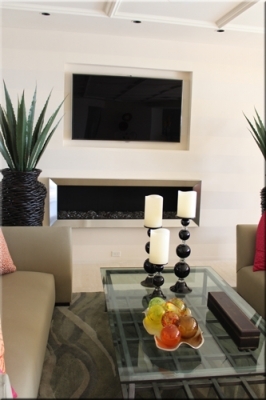 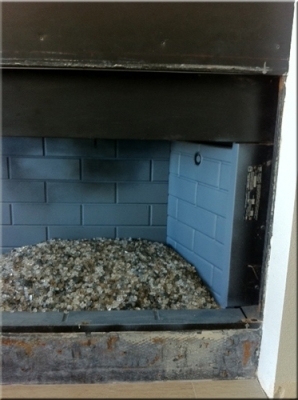 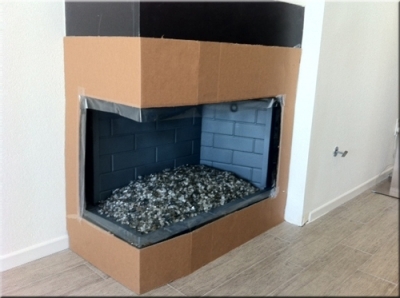 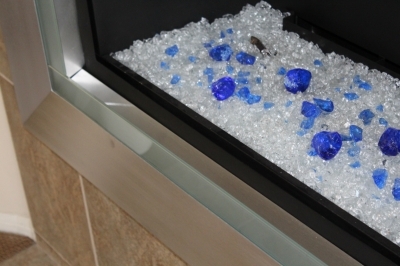 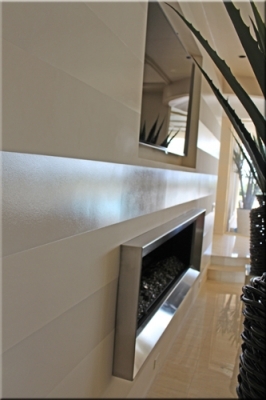 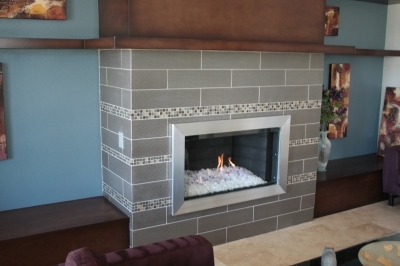 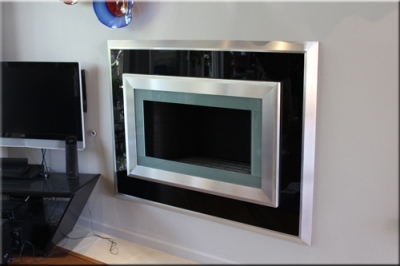 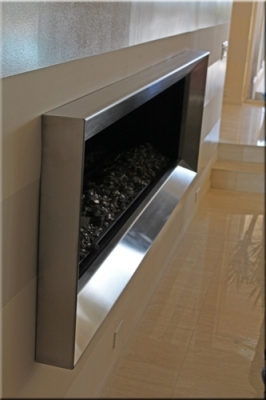 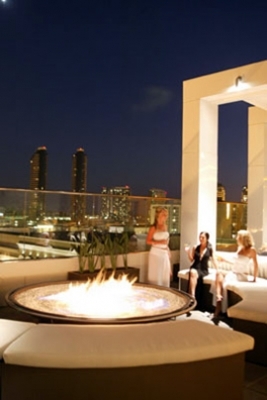 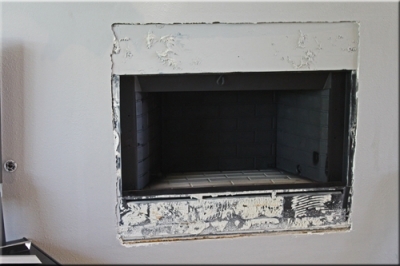 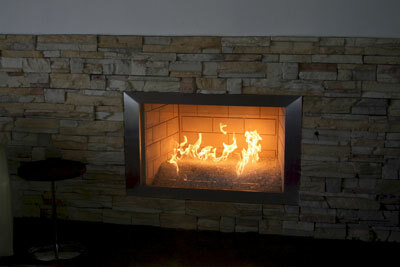 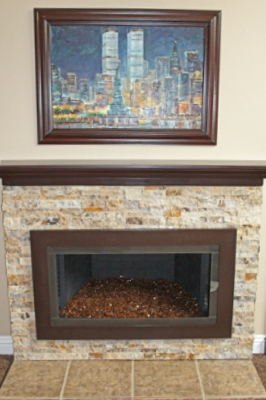 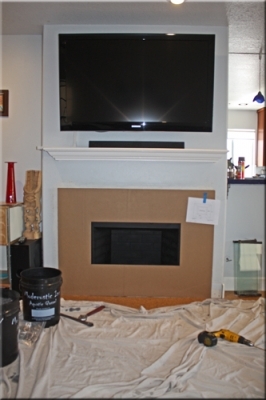 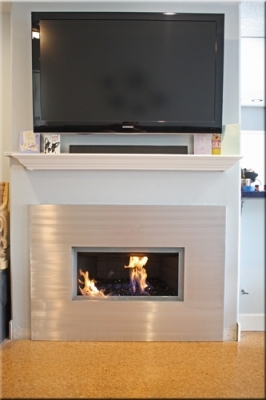 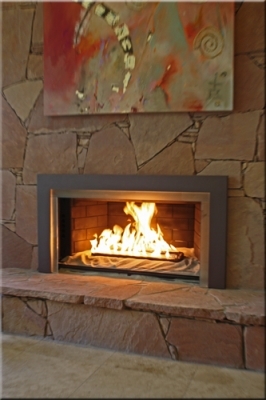 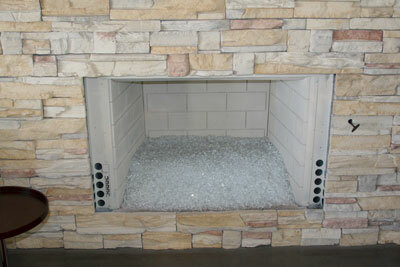 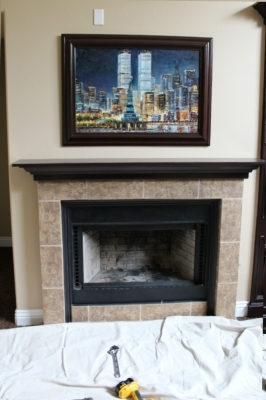 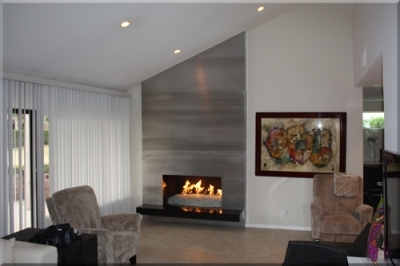 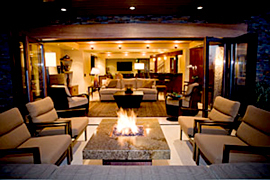 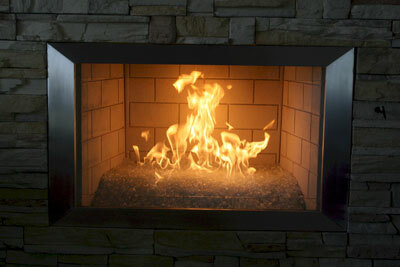 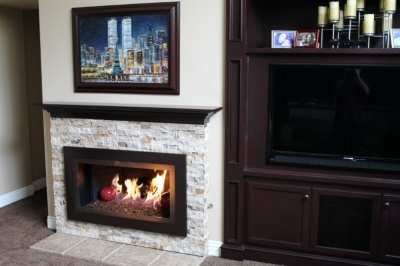 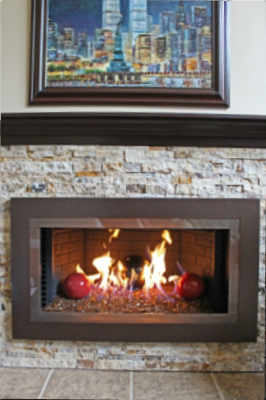 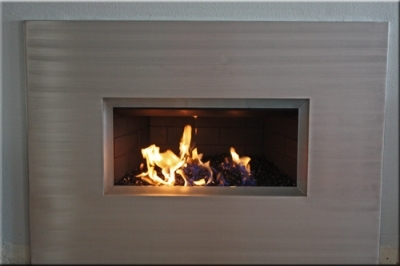 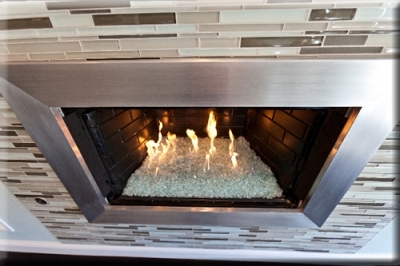 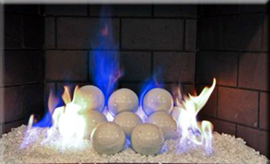 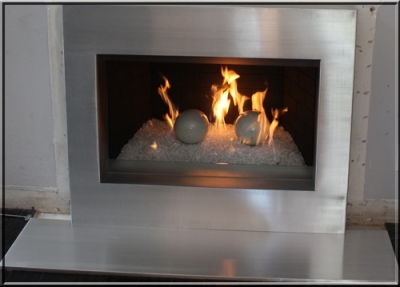 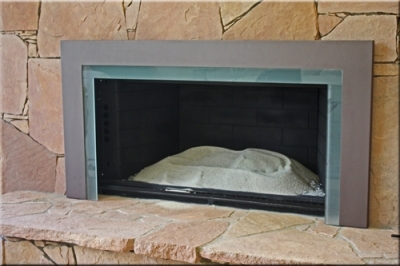 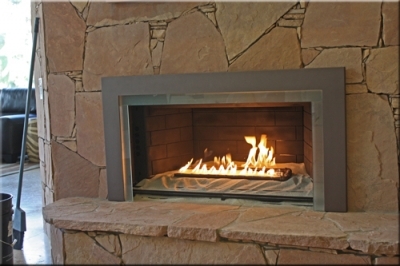 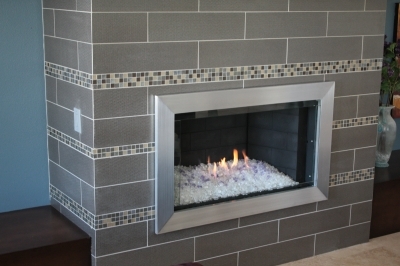 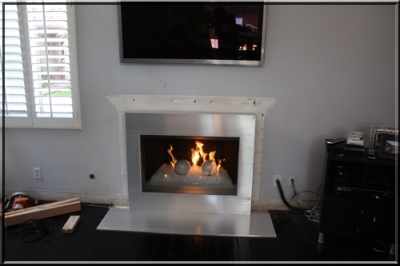 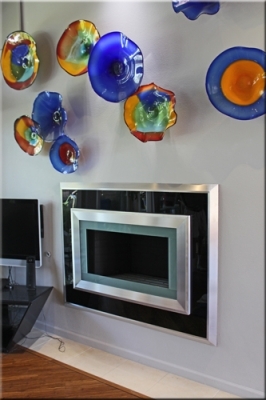 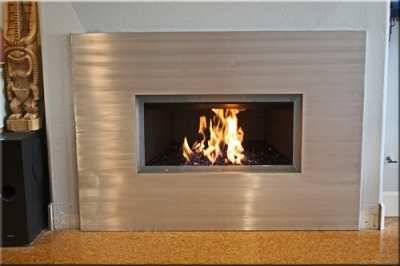 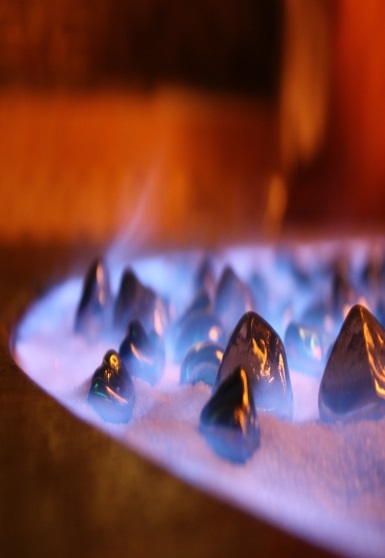 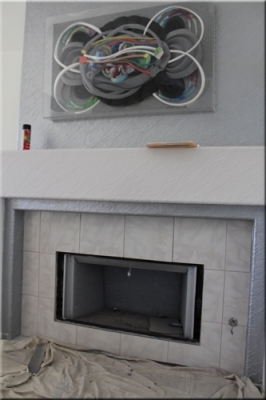 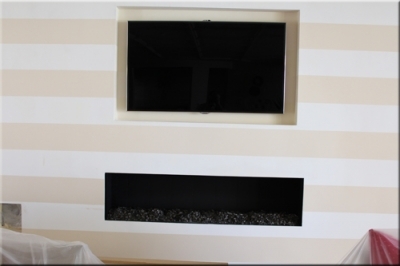 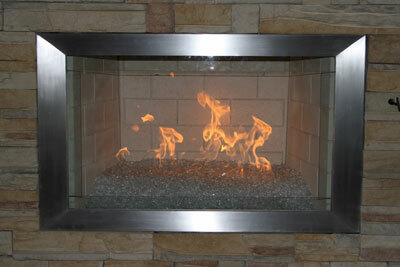 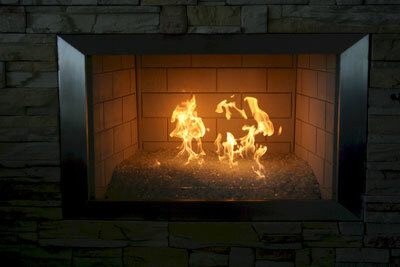 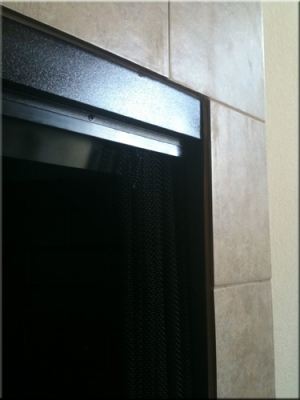 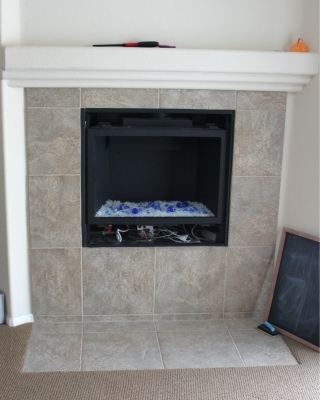 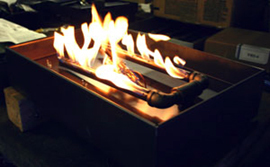 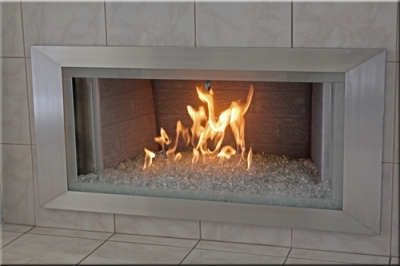 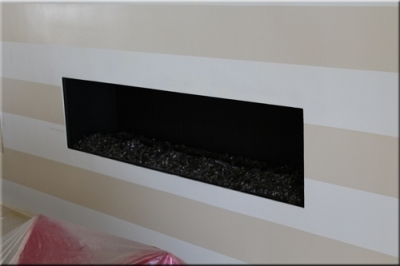 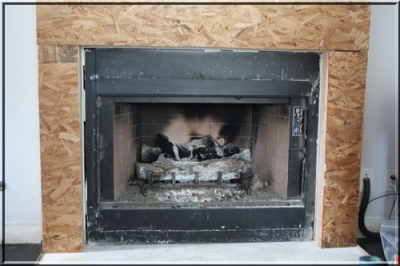 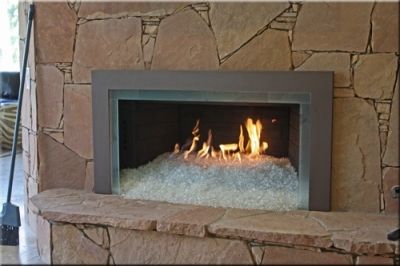 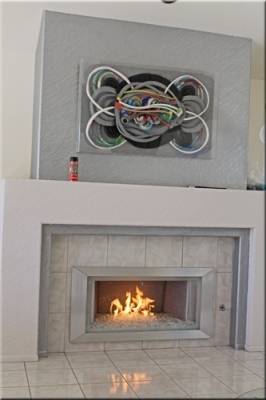 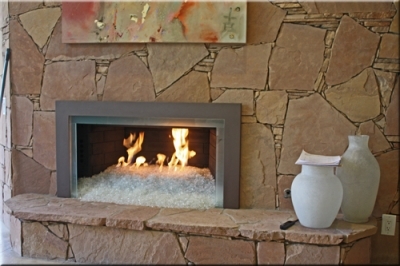 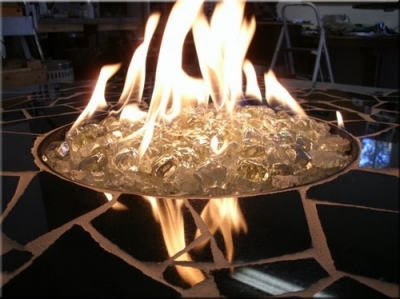 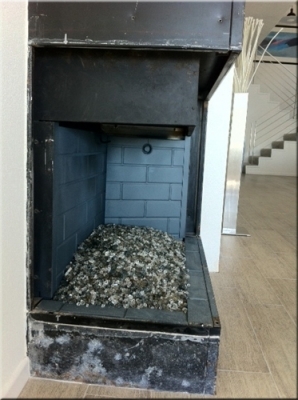 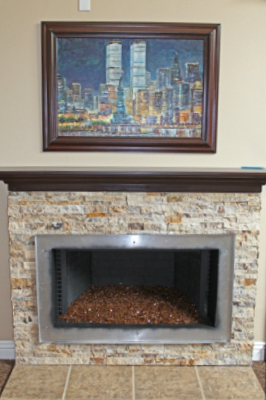 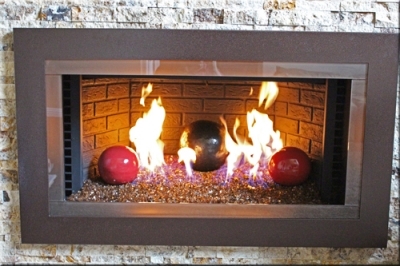 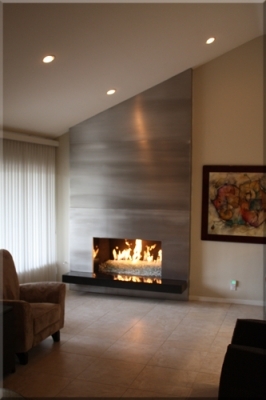 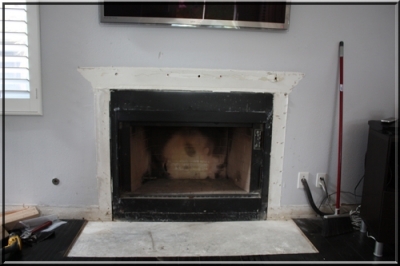 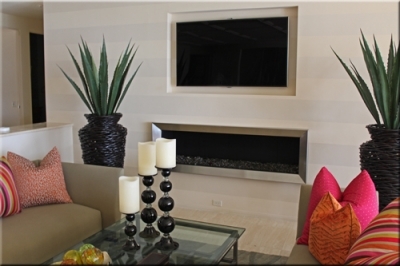 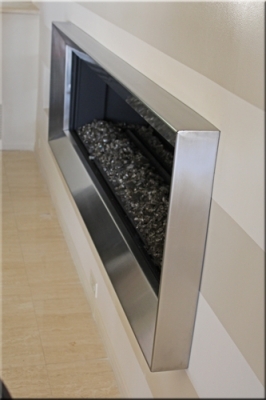 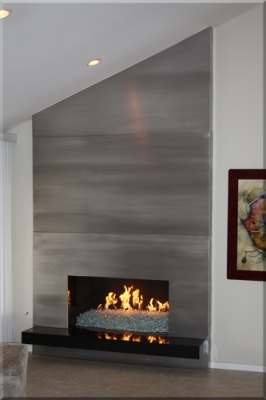 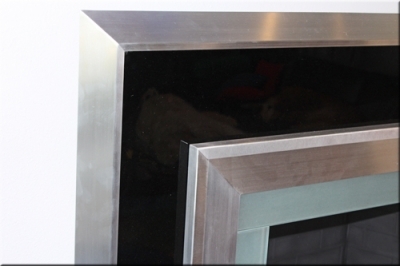 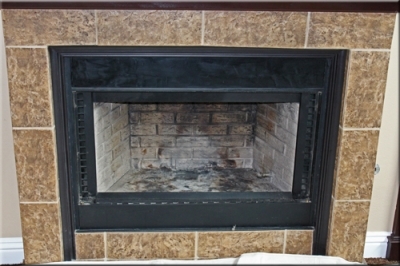 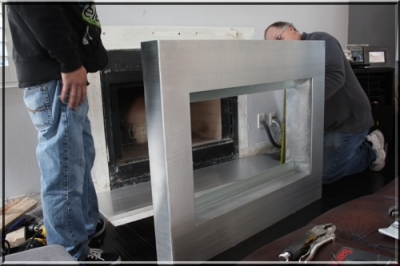 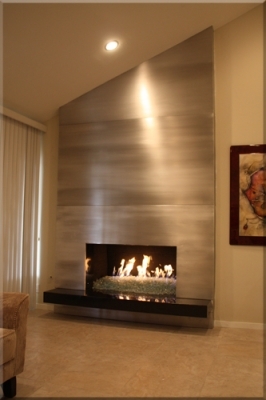 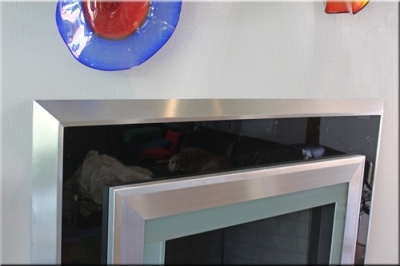 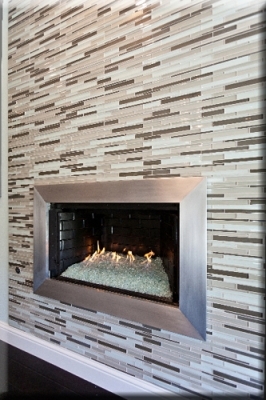 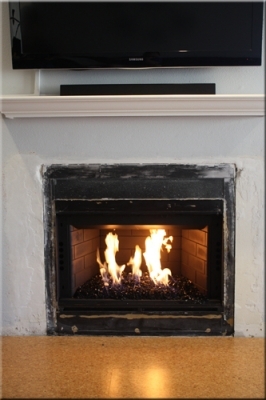 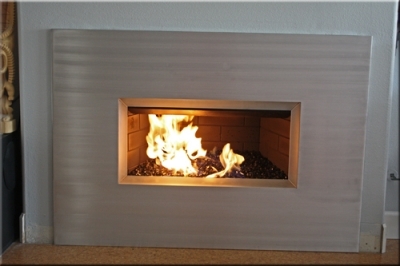 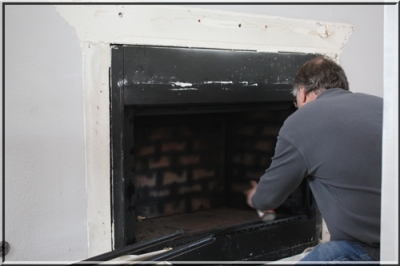 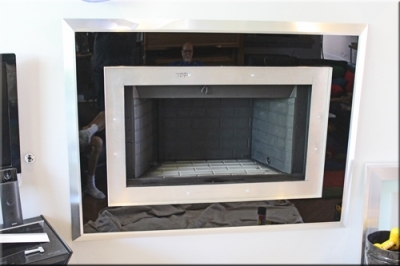 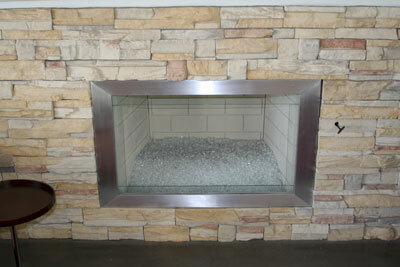 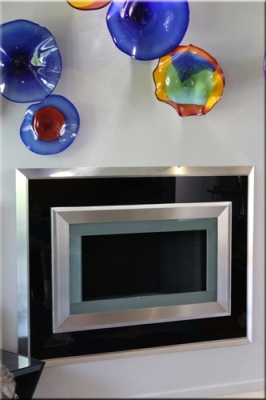 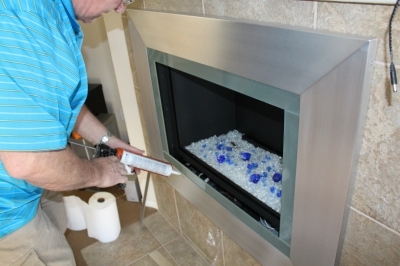 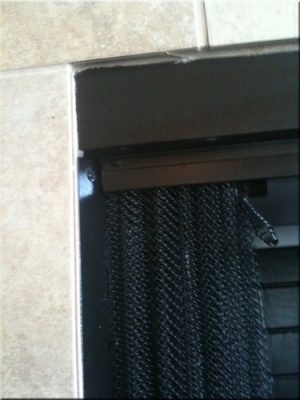 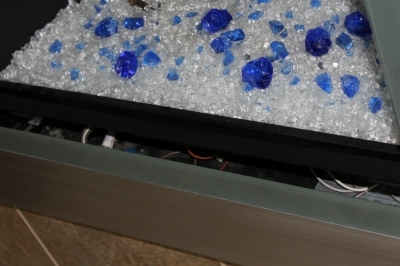 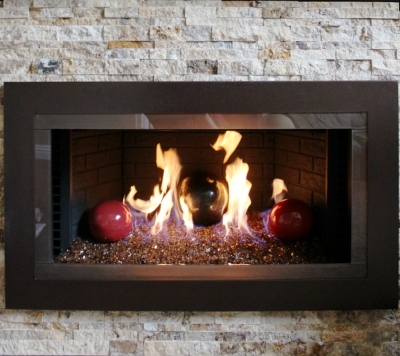 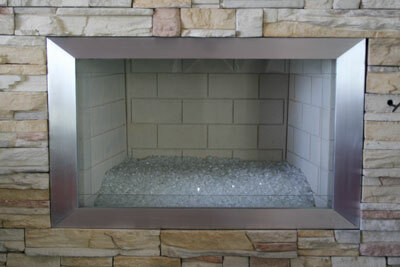 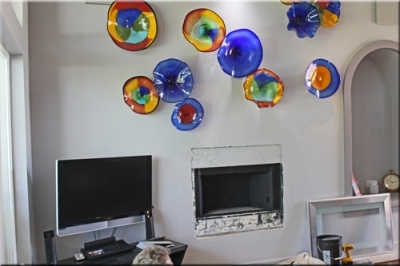 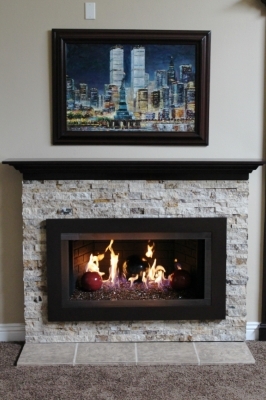 Aluminum or Stainless Steel fireplace surrounds. 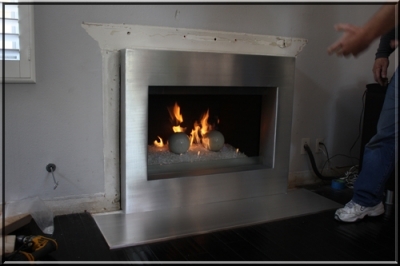 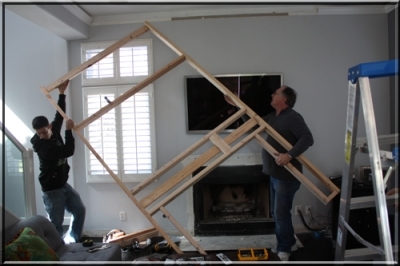 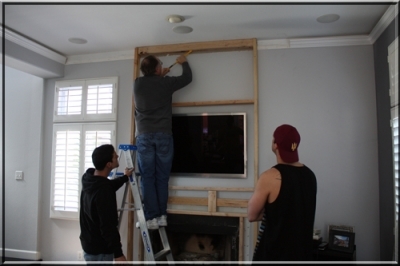 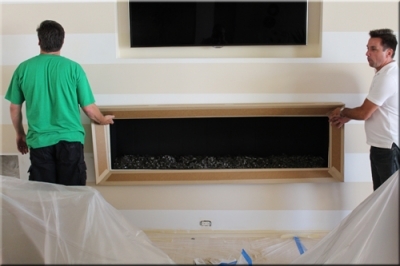 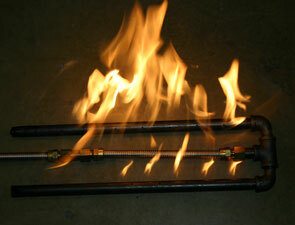 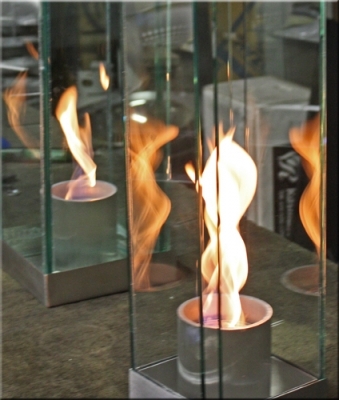 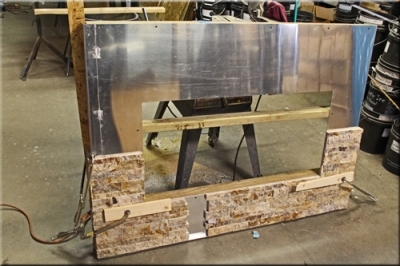 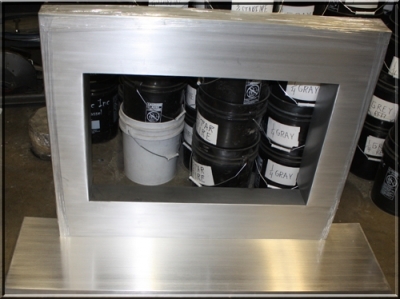 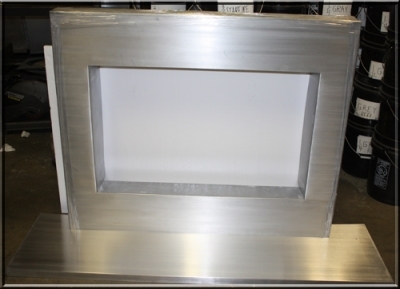 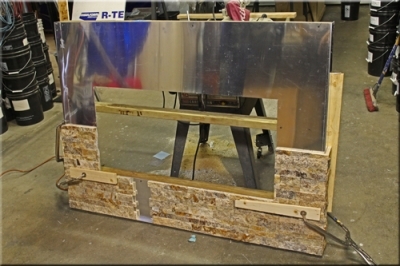 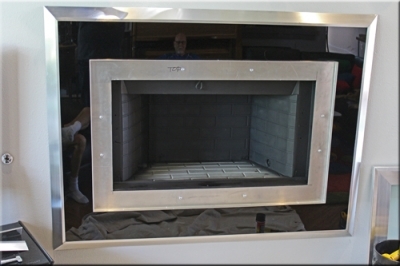 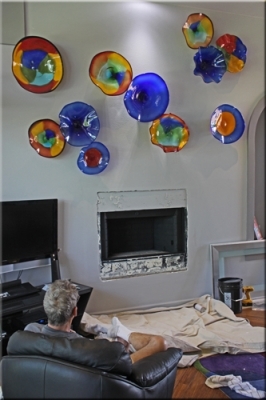 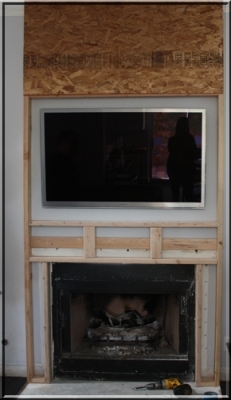 Stainless steel custom frames for fireplaces. 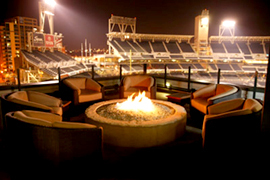 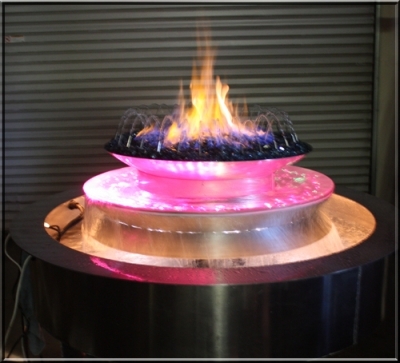 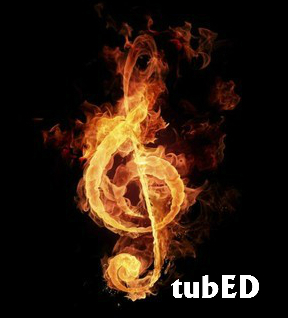 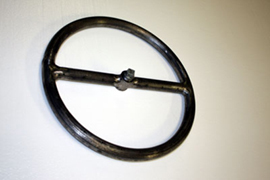 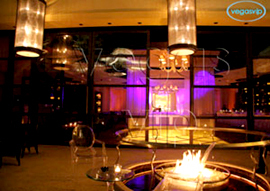 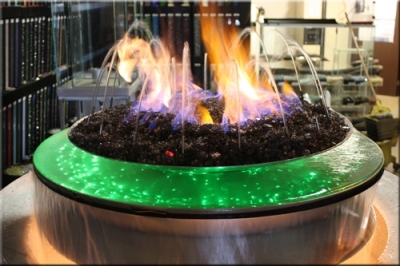 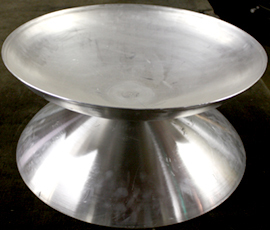 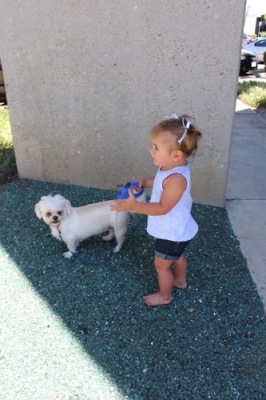 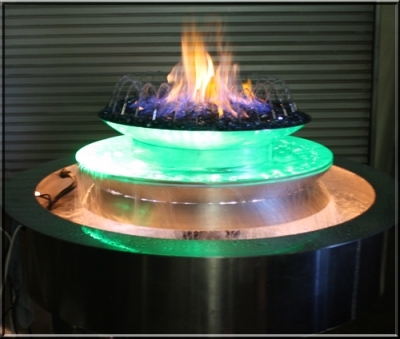 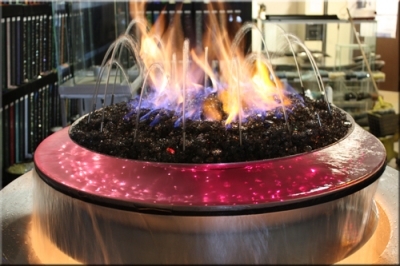 Stainless steel 90 degree surrounds up to 30” x 48” x 36” tall = 2700.